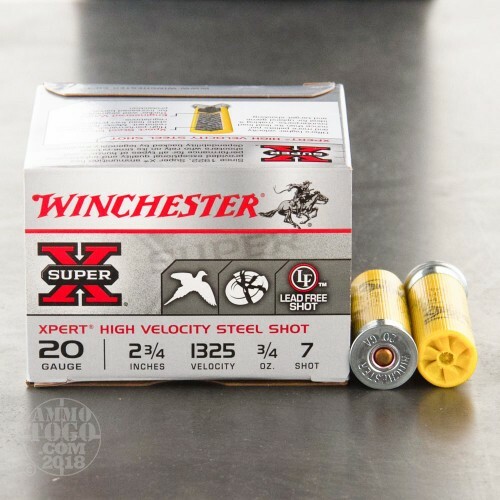 Founded in 1866, Winchester is one of the most recognized and respected names in the shooting world. For serious sportsmen, Winchester is synonymous with quality, pride, reliability, and performance. 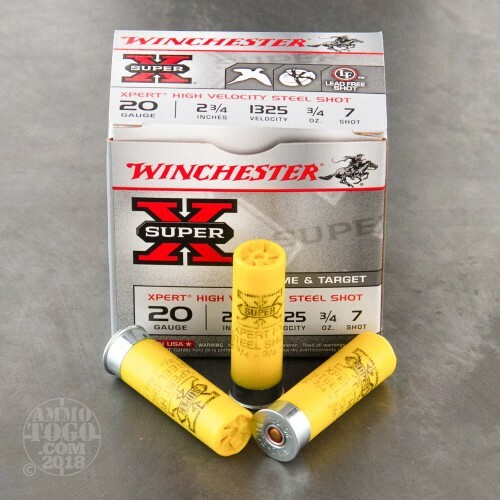 Ideal for sporting clays, target shooting, and hunting upland birds in areas where lead shot is restricted, these Winchester Xpert 20 gauge shotgun loads are non-toxic and economically priced. 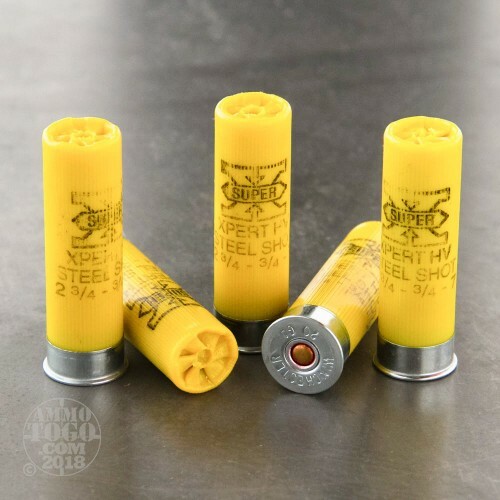 Each 2 ¾ inch factory fresh shotgun shell is loaded with ¾ ounces of #7 steel shot. Each round produces a consistent muzzle velocity of 1325 feet per second. 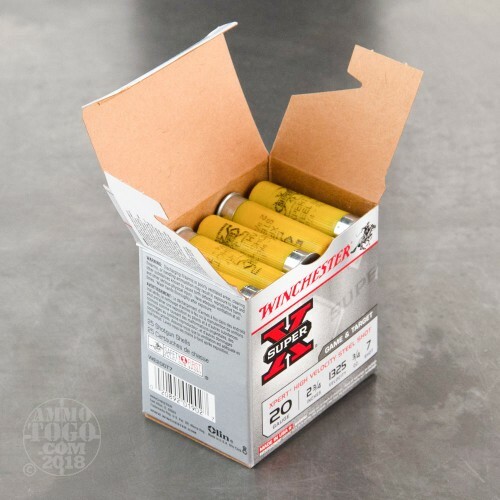 This ammunition comes packaged in 25-round boxes.